Ensure that skilled technicians aren’t overbooked or misallocated to generalist jobs reducing your ability to complete specialist jobs. Workshop Planner allows you to organise your daily operations to technicians on a 1-day, 2-day or 3-day planner, and amend throughout the day to improve your Workshop efficiency. Working with Tech+, the planner is fully integrated throughout your current business processes, specifically designed for you to focus on operations and jobs that require your attention, and on not the management of the tool itself. Based on Start and End times for technicians, the planner displays the available job slots for any given period. Once you have started allocating jobs the ten colour codes will give you an instant view of the status of the job, such as being on hold or overrunning, allowing you to see where your attention is required and manage customer expectations. Range of easy to use gestures available to simplify planning work to a technician. Drag and drop to a technician, extend or reduce the time allocated, move or share to other technicians, and more on the planner. Also drag and drop from the side taskbar to easily place operations. Associated information related to the job, vehicle, customer and more are all available at a single click, allowing you to continue using the planner and not clicking through multiple screens. Single day, 2-day or 3-day planner view allows you to see a longer view of your workshop. 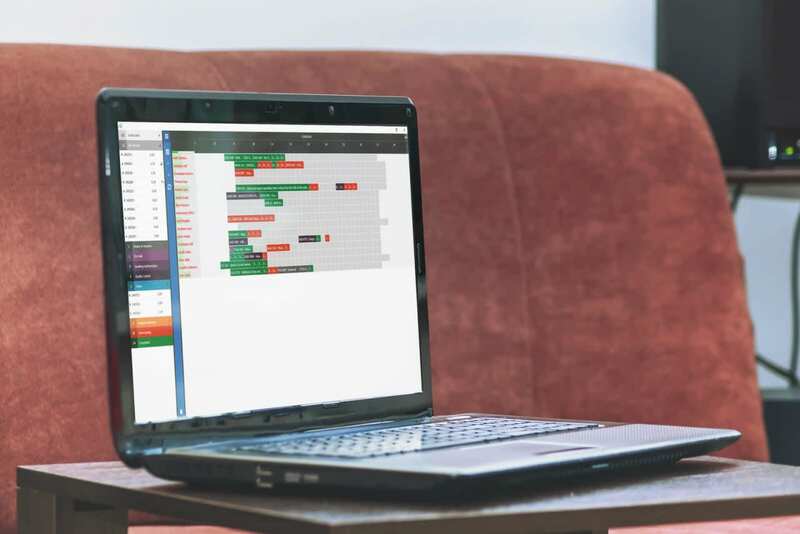 This multiview makes planning work in advance easier, reallocation of overrunning jobs on the same screen, and see short-term Workshop availability at a glance. The option of ‘Next Operation’ is displayed on Tech+ allowing the Technician to move through their jobs, based on what is scheduled on the planner. The technician will also be able to see which future operations are associated to this job number.